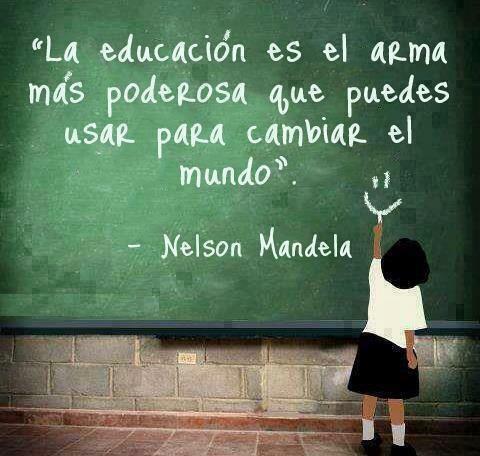 A popular quote of Nelson Mandela is, Education is the most powerful weapon one can use to change the world. In a knowledge-driven economy, Education is changing the topography of nations and is the new currency by which nations maintain economic competitiveness and global prosperity. Nations are engaging in educating its youth and have pinned hopes on them to usher in a brighter future. From the perspective of economics, education has proven to be the most powerful tool for change. A question that lies in wait, is, how can education be used to change the world in a holistic way and stave off many of the social ills that plague societies everywhere? If education has to be used as a powerful tool for bringing a holistic change in the world, it needs to be empowered and enriched. And, the solution lies in imparting integral education for the development of all aspects of a human personality that brings about human excellence. A beautiful blend of the head, hand, and heart imparts intelligence and discrimination to the head, ability, and perfection for the hands and body, and spiritual nourishment to the heart for love and compassion. Ideally, what the head thinks should be examined critically in the heart and the right decision should be carried out by the hands. This should be the primary product of the educational process. Education has not fulfilled its role if it imparts only information to the head without transformation of the heart. Integral education should be at the core of all educational establishments whose aim is for its students to have a sterling character and for him or her to understand that education is not just a means to make a living, but bring about individual transformation. But to many, the word education conjures up images of successful and brilliant careers with unlimited possibilities, while to some, education is only a means to seek out a living. No doubt, it is a milestone by which a person’s financial future is predicted and a country’s economic growth and development measured and quantified. The general perception is that, at the end of education, we would have the magic key that unlocks our dreams to money, name, fame and social recognition. One would say there is nothing unrighteous about such yearnings, but, if we listened closely to the whisperings of our heart, we would find that it urges us to explore an alternative route a world of enriching experiences. But we put these whisperings on mute as we relentlessly pursue happiness. In this respect, Gurukulas, the ancient education system in India, had paved the path for its students to access this part of the world with enriching experiences. Guru and students lived as one family in these residential schools that nestled on the lap of nature. In these spiritual incubators, students imbibed timeless human values and gained worldly and spiritual knowledge for a prescribed number of years. They shared the same vision, discipline, lifestyle and spiritual kinship, and the guru helped them experience all existence as one and see the creator in all his creations. The students also developed an enhanced awareness of social responsibility which molded their character, contributing to the integral development of their personality. Different eras have experienced different challenges but have also witnessed divine interventions whose messages helped humanity overcome them. In the present era, the journey is bumpier, and stumbles and falls are greater. A need of the hour, again, is to listen intently to those messages that would help us re-calibrate our journey in modern times. Youth may be the agents to bring in a change in the world through education. While educating their biggest assets may become the biggest nation-building activity of any country, left unguarded, they are the most susceptible to plummeting into an abyss when riding on a rough terrain that has pretty much-blanketed societies around the world. A compelling need of the hour is to intertwine secular and spiritual education and weave it into the fabric of the education system for a holistic development of students. Unless human values that are latent in each of us are allowed to blossom and translated into action, education will not serve its purpose. Love as thought is the truth, love as an action is right conduct, love as understanding is peace and love in feeling is non-violence. If educational institutions are built on the bedrock of these values, children, like saplings can be helped to grow straight to become mighty trees that cannot be swayed by the strongest of winds. These human values cannot be learned from lectures or textbooks. Those who seek to impart values to students must first practice them themselves and set an example. Teachers have the greatest share in molding the future of a country, and their profession is the noblest, the most difficult and the most important.